My kids love examining things, and spiders fascinate them! 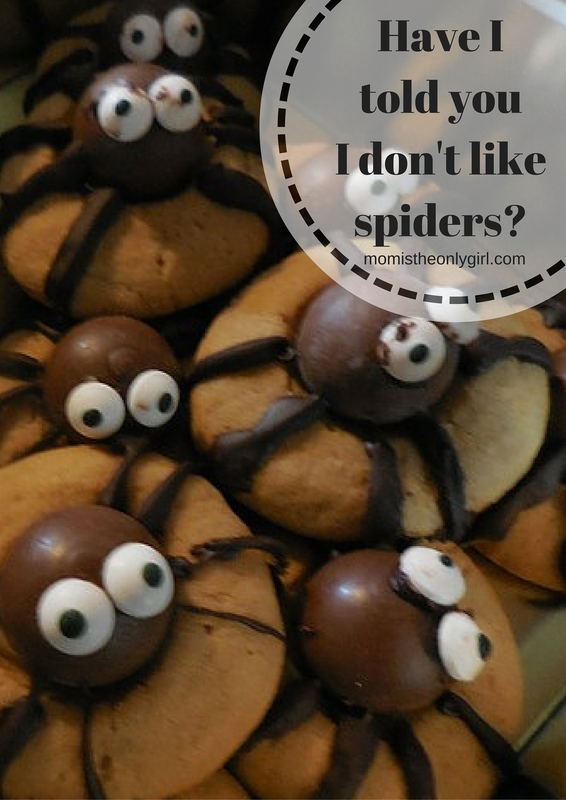 In the spirit of a fun halloween, I’m sharing another spider cookie idea (You can see the first here.) This idea is from my mother-in-law. I’m not sure where she got it, but these spider cookies are adorable! My mother-in-law bakes treats every halloween for the boys, and they just squealed over these cookies! Aren’t they adorable? These were peanut butter cookies, the kind you usually top with a Hershey’s Kiss when they come out of the over, but instead she used a malted milk ball. She drizzled a little frosting from the malted milk ball to the edge of the cookie when they were cooled to create legs, then used two dollops of frosting to ‘glue’ the frosting-eyes on! So cute! What goodies are you baking this year for halloween?